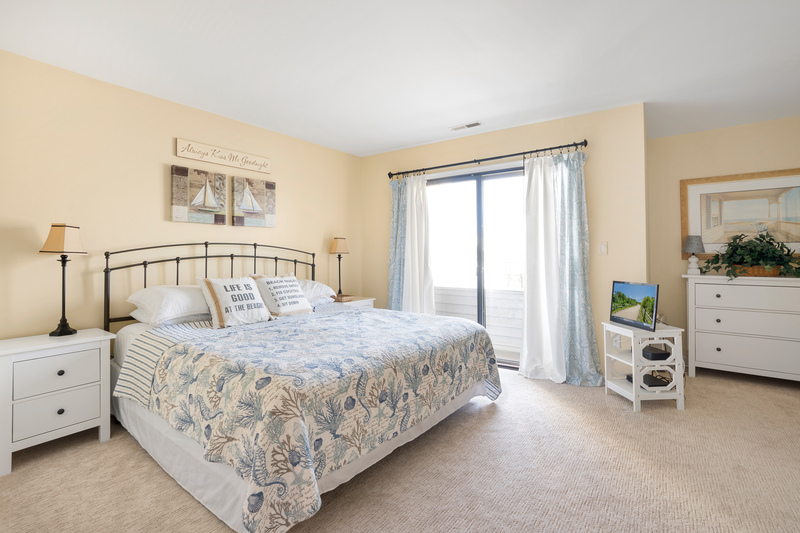 Everybody loves to vacation at Cambridge Green in Avalon. 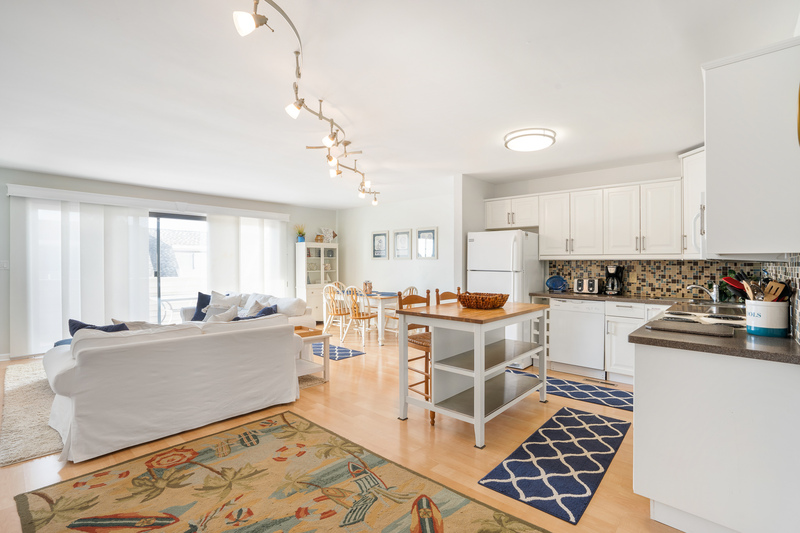 The spacious two story floor plan with 3 bedrooms and 2 baths is one reason. 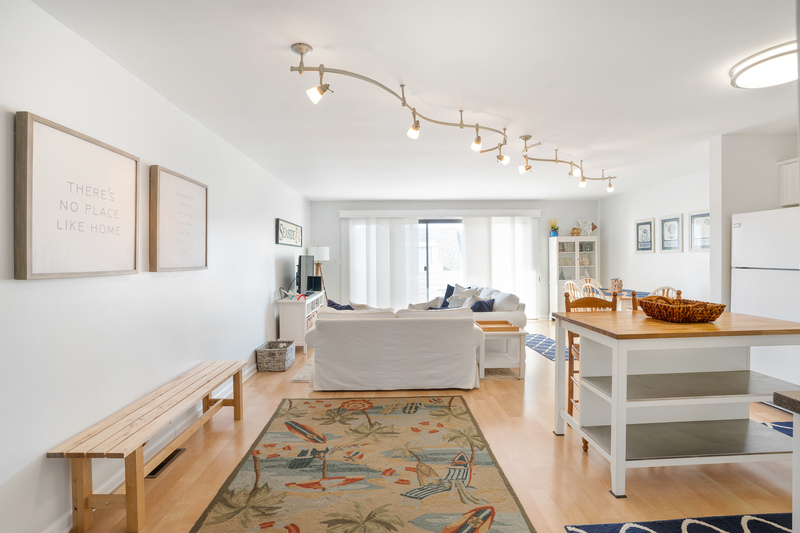 The wonderful heated pool to enjoy after a day at the beach is another. 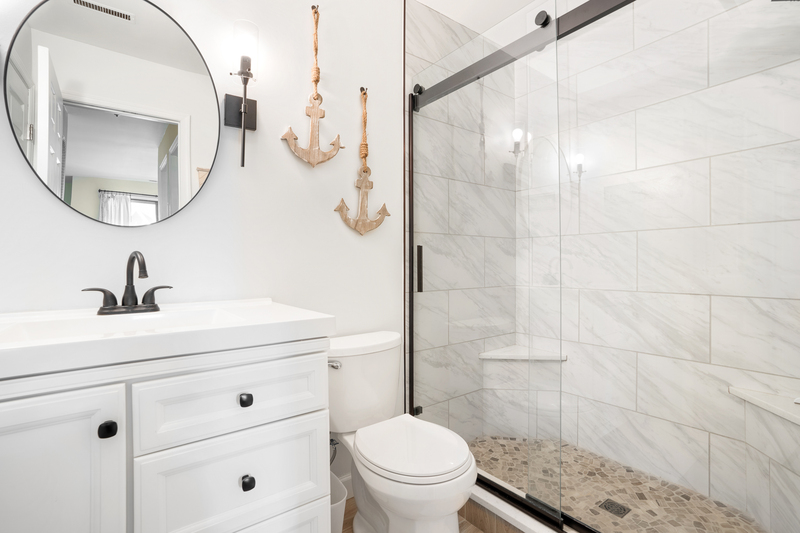 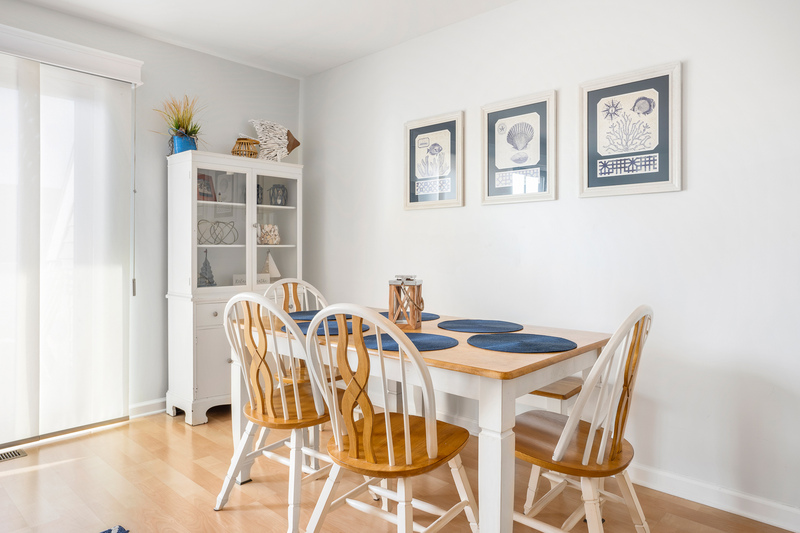 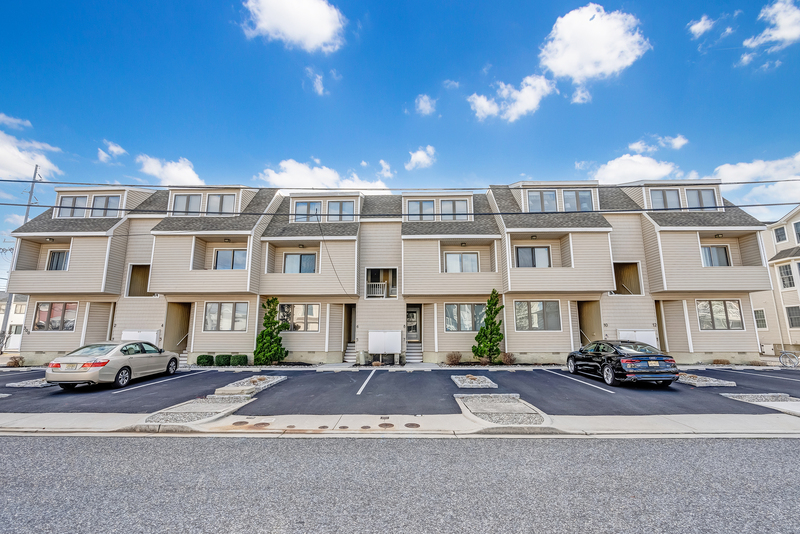 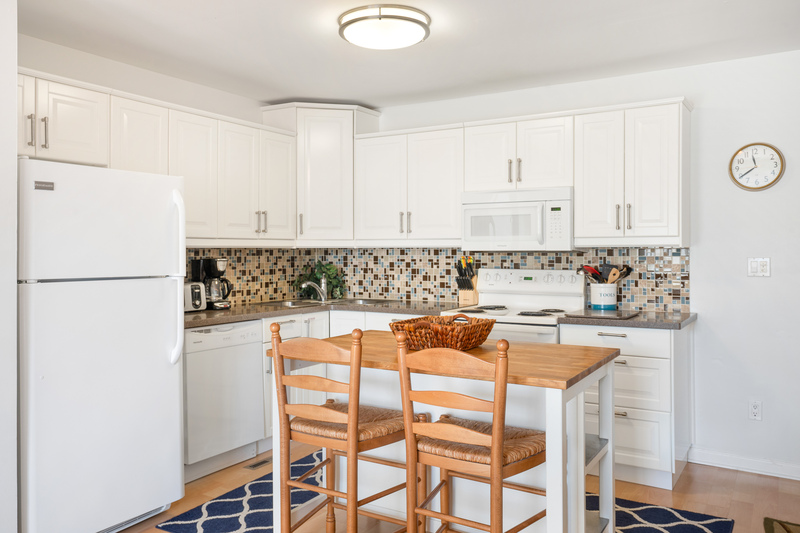 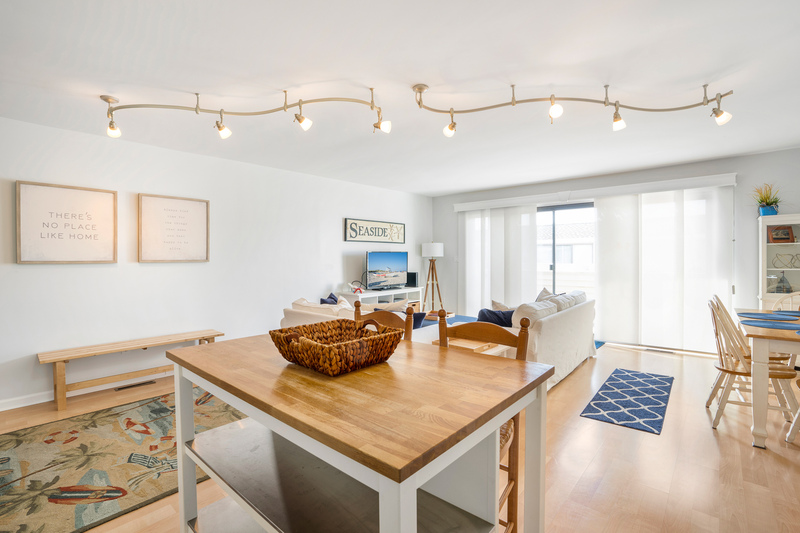 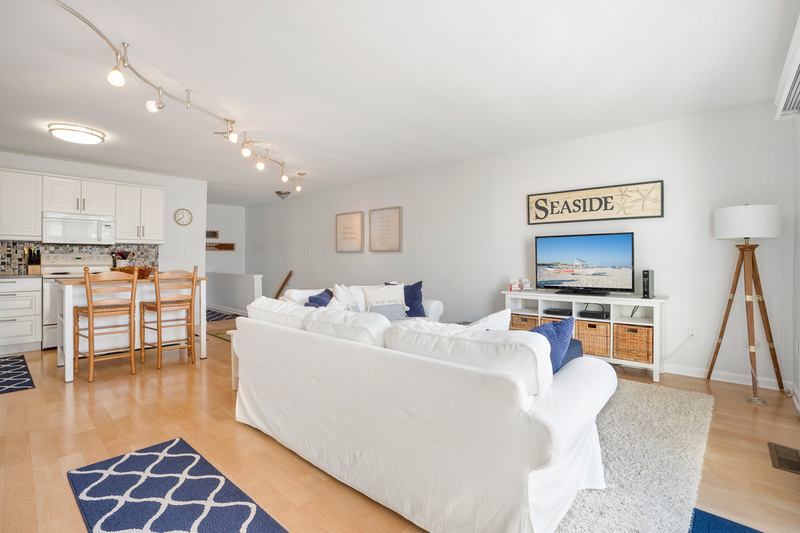 The convenience of a short two block walk to the beach and family recreation, crabbing and fishing a block away and downtown Stone Harbor shopping district just a leisurely stroll away, places everything your family wants on vacation within easy reach. 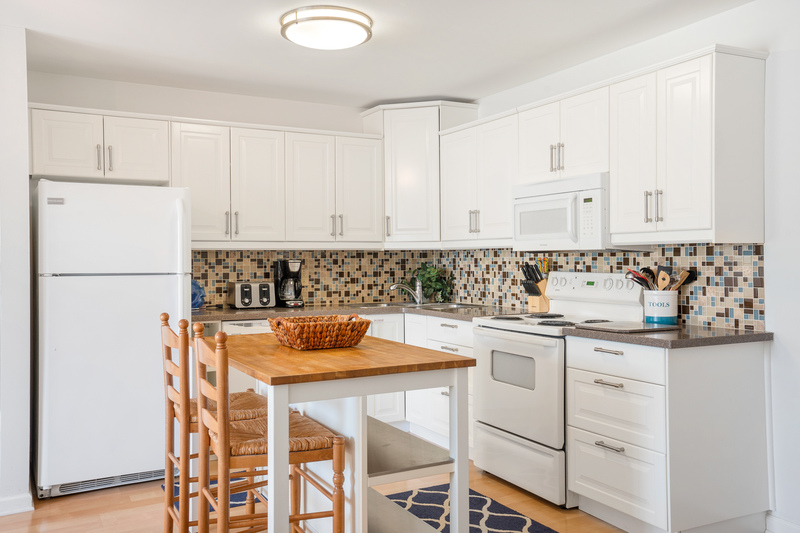 This exceptional 2nd/3rd floor townhome has been updated with a brand new kitchen with new counters and flooring. 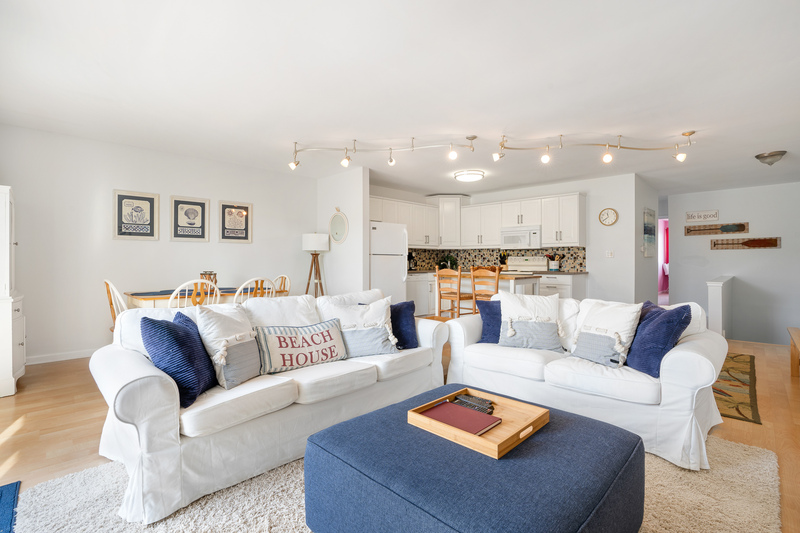 The flooring has been extended through the living and dining areas creating a bright, spacious look and feel to the room. 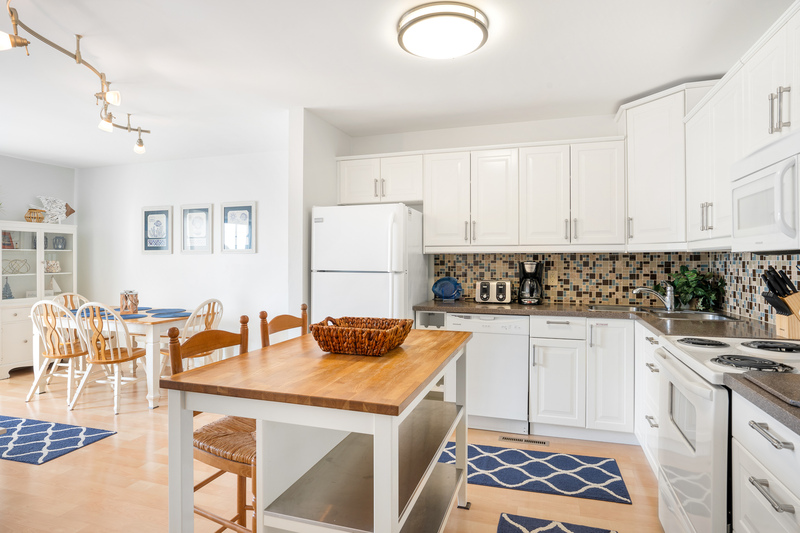 The living room is cozy and comfortable with updated furnishings and flat screen television. 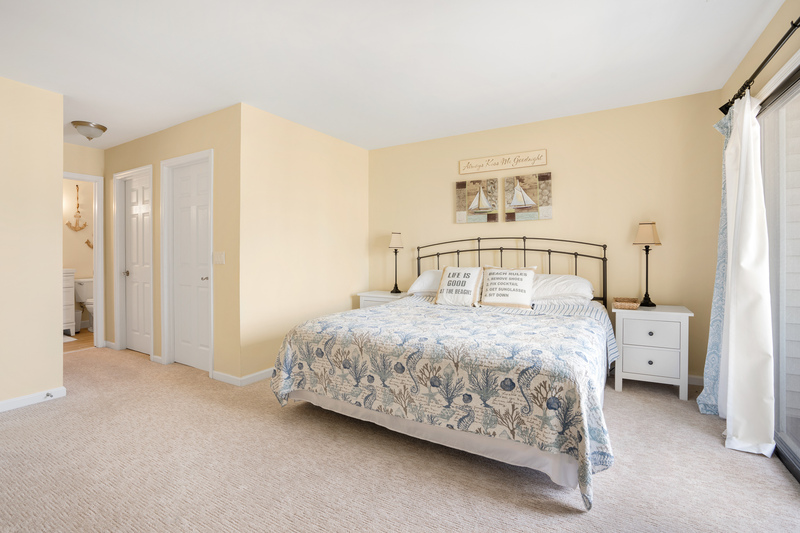 All of the bedrooms have been updated and decorated with two twins in the "girls" room, a bunk bed with twin up top and double on the bottom in the "boys" room and a master suite with private deck, bath and king bed. 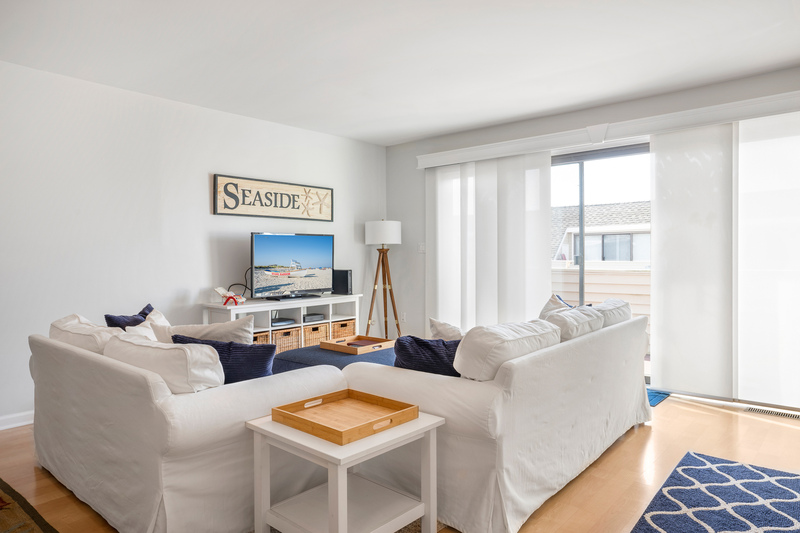 Relax on your deck overlooking the pool after a busy day at the beach or stroll down to the bay a block away and revel in the sunset celebration every night. 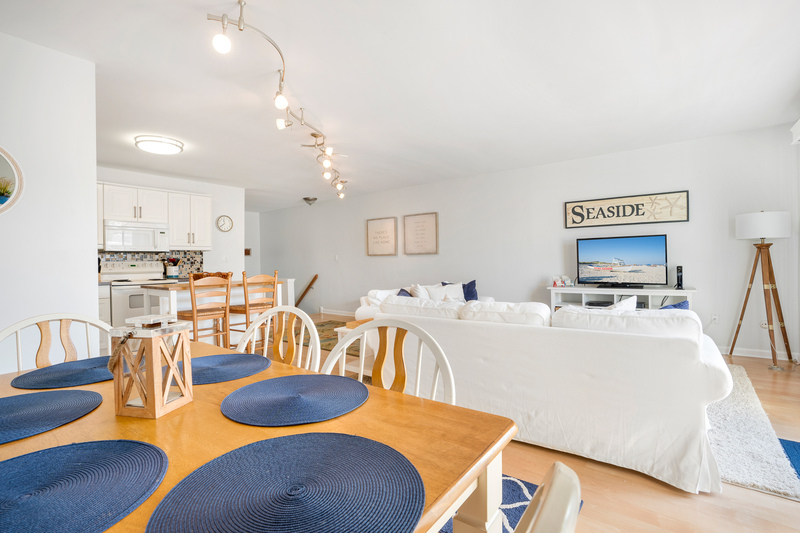 This is simply the ideal spot to enjoy your family while on vacation here in Avalon.